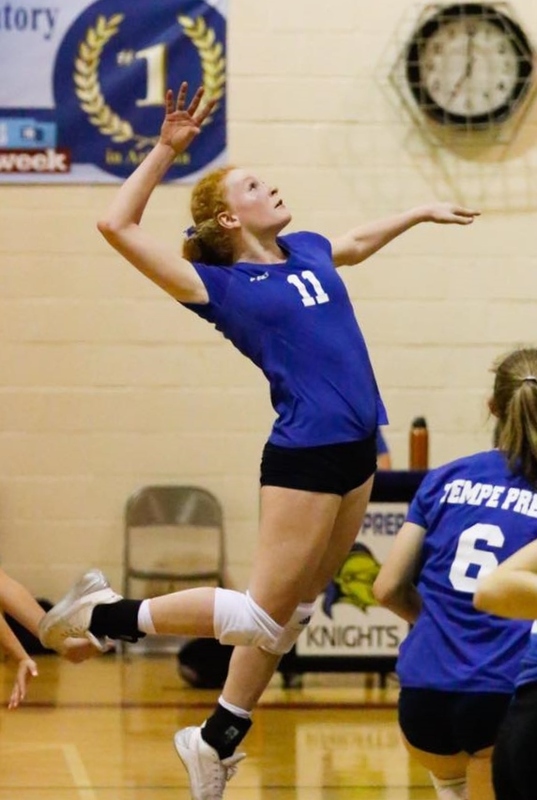 Congratulations to Tempe Prep Junior Mary Shroll for being named the MaxPreps Arizona High School Player of the Week by the American Volleyball Coaches Association! 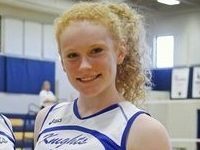 A dedicated student and athlete recruited by college Division I teams, Mary is currently leading the state across all Divisions in kills per set and hitting percentage with a .513 hitting percentage and 8.2 kills/set. Shroll recently represented Team USA at the High Performance Volleyball Championships being in July in Fort Lauderdale, Florida. She played Libero on the USA A1 National Girls Youth Blue team, competing against International squads from Brazil, Chile, China, Dominican Republic, Italy, Mexico, New Zealand, Peru, Puerto Rico, and U.S. Region High Performance teams. High Performance is the pipeline for USA Olympic Teams. Last spring, PrepVolleyball named Shroll to the “Soph 79”, identifying the 79 best varsity-playing sophomores in the country. In May, Shroll was named the AIA Player of the Year in the 2A Conference. Tempe Preparatory Academy is a tuition-free public charter school in Tempe for students in grades 6-12 that provides a nationally acclaimed liberal arts education based on the Great Books of Western Civilization with an exceptional math, science, foreign language, humanities, and fine arts curriculum. Tempe Prep has been recognized by the Arizona Board of Regents as having the highest percentage of college graduates in the state (2016) and has been named the #1 high school in Arizona and # 15 in the U.S. by Newsweek (America’s Top High Schools 2016). For more information about the school or enrolling at Tempe Prep, visit the school’s website at tempeprep.org.